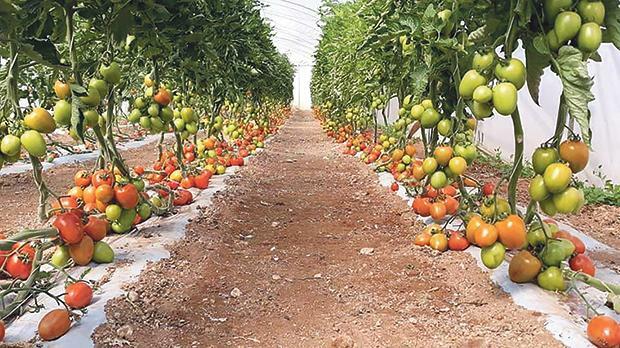 As experts continue to sound the alarm about the crisis that risks killing the local farming industry, one lobbyist warns that Malta is losing all agricultural know-how and that “we are raising a generation of children who think that carrots grow in supermarkets”. James Lupi Spencer, the founder of popular Facebook group Dilettanti tal-Agrikoltura, Siġar u Pjanti, pointed a finger at the lack of basic education in schools as one of the biggest reasons behind the increasingly discouraging difficulties being faced by the industry. “It may sound like an exaggeration, but I bet you that if you carried out a quick poll among young children, asking where carrots come from, many would reply: the supermarket. I hear this sort of thing on a daily basis. It is almost funny, except that it is sad,” Mr Lupi Spencer says. The young amateur farmer blames this lack of basic knowledge on a system that is failing to equip students with practical information about our culture and indigenous industries. “I do remember being taught an amount of practical information when I was still at school. We were taught simple cooking using local ingredients, how to grow tomatoes and herbs at home... that sort of thing. “The idea was not to turn us all into farmers, of course, but to foster an appreciation of the agricultural process. This has all been lost today,” he says. Mr Lupi Spencer also laments the readiness to import and buy produce from nearby countries like Sicily, which places an added strain on the flailing local industry. Meanwhile Mr Lupi Spencer, together with a number of others, is doing his bit to support the industry through the Facebook Dilettanti group. It provides what he describes as a space for like-minded individuals to network and to exchange knowledge, whether they are full-time, part-time or even amateur farmers or gardeners. The encouraging feedback has led to the birth of a sister Facebook page called Ixtri Online Mingħand Il-Bidwi Dirett. The public group offers a platform for those who grow their own produce to sell it directly to the consumer without the need of a middleman. “The problem of lack of transparency at the pitkalija persists,” Mr Lupi Spencer says. “This page is directly aimed towards eliminating the commercial and financial problems that the pitkali middleman system is creating for farmers. He adds that “everyone” is aware of the specific problems that beseige the farming industry, but “no-one wants to actually do something about them”. Ixtri Online Mingħand Il-Bidwi Dirett seems set to redress the situation somewhat, having attracted a healthy number of regulars from both sides of the fence. A cursory scroll through the page reveals a wealth of local seasonal produce that ranges from potatoes to onions, marrows, strawberries, carrots, broccoli, oranges, cabbages and more. The platform is open to all forms of produce, including eggs, honey, marmalades and jams, and even the ever popular limoncello liqueur. The lobbyist puts the success of the initiative down to what he describes as “fostering personal connections”. “It helps when people build a working relationship, and they know who they are dealing with. It’s the kind of atmosphere that encourages return clients,” he explains. The page is peppered with colourful and enticing photos of produce, leaving no doubt in the mind of a potential customer about the quality on offer. An added convenience that has also met with success is that some of the farmers offer deliveries to homes. “The will is there on both sides. Given education and proper regulation, the farming industry does not need to die out,” Mr Lupi Spencer concluded. This is the second in a series of articles looking at different aspects of the local food industry.